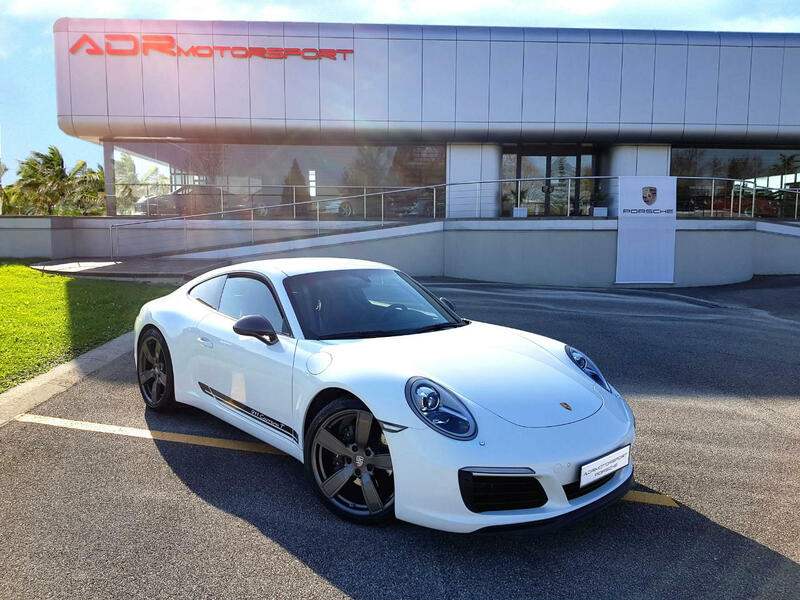 With the 911 Carrera T, Porsche revives the purist concept of the 911 T from 1968: less weight, shorter manual transmission and rear-wheel drive with mechanical rear-axle cross-lock for more performance and intense driving pleasure. The 911 Carrera T – at Porsche, “T” stands for Touring – also boasts several other equipment features that are not available for the 911 Carrera, including the PASM sports chassis as standard, lowered by 20 mm, the weight-optimised Sport Chrono Package, a shortened shift lever with red shift pattern and Sport-Tex seat centres. The rear-axle steering, which is not available for the 911 Carrera, is available as an option for the 911 Carrera T.
Price indicated for Italy, please ask for export price! ADR Motorsport sas freut sich auf Ihre Anfrage und ist Ihnen gerne behilflich. Bitte erwähne Elferspot, wenn du ADR Motorsport sas anrufst.